Marital status can affect women’s health in a number of ways. A University of Arizona study suggests that women who marry later in life may gain a few extra pounds, while older women who are undergoing a divorce or separation may lose a few pounds and see improvements in health habits. “Earlier studies on marriage and divorce have shown that marriage is usually associated with a longer lifespan and fewer health problems, while divorce is associated with higher mortality,” said the study’s lead author, Dr. Randa Kutob, an associate professor of family and community medicine and director of the UA College of Medicine’s Office of Continuing Medical Education. 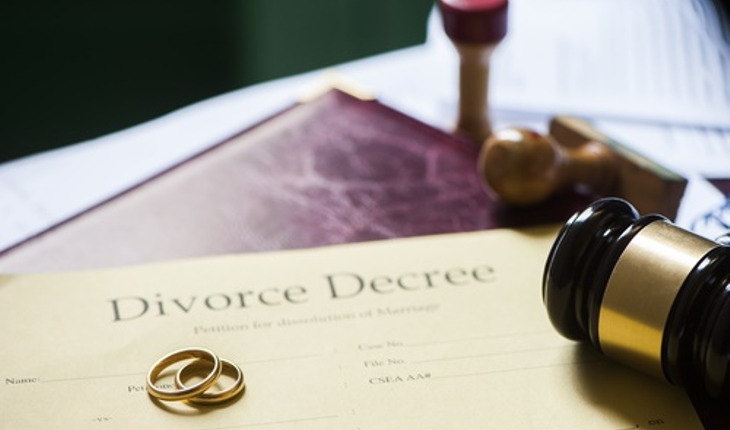 “The interesting thing we found in our study is that with divorce in postmenopausal women, it’s not all negative, at least not in the short term,” she said. The researchers’ findings are based on data from the Women’s Health Initiative’s observational study. The Women’s Health Initiative was a prevention study initiated by the National Institutes of Health in 1991 to address health issues in postmenopausal women. More than 160,000 women ages 50 to 79 participated in the initiative’s three clinical trials and observational study over the course of 15 years. Using data from the initiative, researchers looked at postmenopausal women ages 50 to 79 over a three-year period. The women fell into one of four groups: those who went from single to married or in a self-defined marriage-like relationship over the course of three years; those who started out married but went through a separation or divorce; and those whose marital status did not change over the three-year period (they either started out and remained married or started out and remained unmarried). However, those who went from unmarried to married gained slightly more weight than those who remained single — on the order of two or more additional pounds than their unmarried counterparts. “Potentially it’s portion size, because it doesn’t seem to be related to their food choices,” she said. Both groups of women — those who remained single and those who married — saw a decrease in diastolic blood pressure, but the decrease was greater for women who remained unmarried. The unmarried women also drank less alcohol than those who wed. There were no significant differences in smoking or physical activity between the two groups. Women who stayed married gained about two pounds and saw a slight increase in their waistline over the three-year study period, while women who divorced lost a modest amount of weight and went down some in inches. The married women also saw a decline in physical activity, while divorced women’s physical activity increased. Alcohol consumption remained about the same between the two groups. The researchers controlled for women’s self-reported emotional well-being and found that the divorced women’s weight loss did not appear to be related to depression. That is, women weren’t simply eating less and losing weight as an emotional response. “It does seem that these women are consciously engaging in healthier behaviors after divorce,” Kutob said. The one area in which divorced women lagged was smoking. Women who went from married to divorced were the most likely group to start smoking. However, it’s important to note that those who picked up the habit were typically former smokers, not first-time tobacco users, Kutob said. While the study’s results don’t challenge existing research on the long-term health benefits of marriage, they offer new insight into some of the more immediate health effects of late-life marital transitions, and this could have important implications for postmenopausal women and their health-care providers, Kutob said.